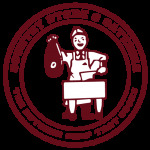 Family owned and operated for over 25 years, with over 30 years of Meat/Butcher industry experience. Tom and his family have been serving the community and its business’ since the early 1980’s. We make all our own sausages, bratwursts and other stuffed meats. All our meat is USDA Choice. We buy only the freshest meats and cheeses for our customers. We offer catering for all sizes of events from family get togethers and weddings to company parties and community events. Our experience in the meat industry has been a great guide to keeping our customers informed on what is the best way to cook, prepare and how much they might need for events and meals. Started in 1991, The Country Store and Catering company was located in Maple Park, Illinois. In 2005, they opened the current store in Sycamore. Tom has been in the meat industry for over 30 years total and has a wealth of knowledge that shows in the quality of meats and foods they carry. All the stuffed meats and sausages are made fresh along with all the salads and soups. Tom and his staff have a commitment to making the freshest foods for their customers.